Director Ricardo Marquez named new PNP chief - Balita Boss! 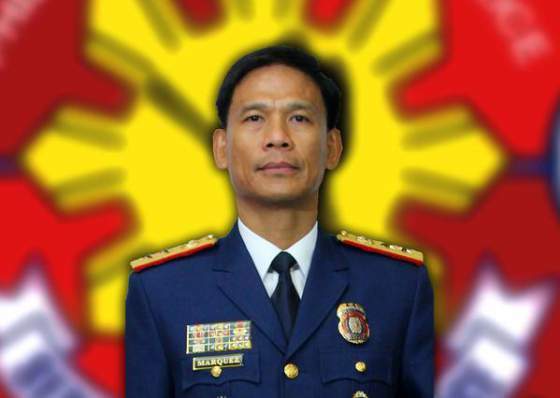 The Philippine National Police (PNP) finally has a new chief. With PNP officer-in-charge Deputy Director General Leonardo Espina set to retire from service, Director Ricardo Marquez, the chief of the PNP’s Directorate for Operations (DO), will be the new chief of the police force, Department of Interior and Local Government (DILG) Secretary Mar Roxas has announced the appointment during a press conference in Camp Crame on Tuesday, July 14. "With all humility and full of gratitude to President Aquino and Interior Secretary Mar Roxas, I am accepting the challenge to lead the 160,000 strong men and women of the PNP," Marquez said during the press briefing. Marquez will officially be installed as the new chief on Thursday, July 16, the same day the PNP OIC Espina is given his retirement honors. Espina assumed office as OIC in December when erstwhile PNP chief Director General Alan Purisima was suspended and dismissed over his alleged involvement in the P100-million questionable contract with a private gun courier service firm in 2011. Marquez, who hails from Maragondon, Cavite, is a member of the Philippine Military Academy (PMA) Class of 1982. Before he became the PNP directorate for operations head, Marquez held significant positions as the regional director of Ilocos Region in 2013, executive officer of the Directorate for Investigation and Detective Management in 2011 and provincial director of Nueva Ecija in 2008, the Philippine Daily Inquirer reported. During the visit of Pop Francis in January 2015, he was the police task force commander. He also currently heads the PNP's plans for the ongoing APEC Summit meetings. According to Rappler's report, Marquez graduated salutatorian at the Tulay Elementary School and was the valedictorian of his batch from the Bucal Barangay High School. He ranked #16 in his PMA class. For his graduate studies, he earned a Masters Degree in Management at the Philippine Christian Academy.